What is The Register's mailing address and main phone number? Only those articles which appear in catholicregister.org are available from this site. If you want an article that appeared in the newspaper, e-mail editor@catholicregister.org with the date of the issue, page number and any information, such as headline or subject matter, that will help us locate the article. We can e-mail a copy of it to you. You can purchase a copy of any photo taken by a staff photographer and published in The Catholic Register. Please note: we cannot sell wire service (CCN, CNS) or freelance photographer images. Photos cost $25 to process and send to you. Please e-mail editor@catholicregister.org with your request. 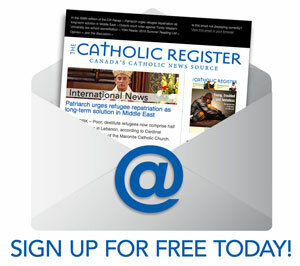 Please contact the editor at editor@catholicregister.org with your request or call 416-934-3410 and ask for the editor. Back issues of the newspaper for the past year are available for purchase at the cover price of $1 (discounts for larger volumes). 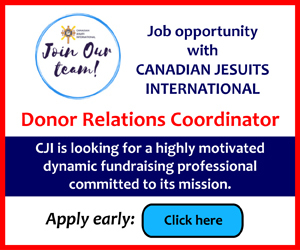 Contact circ@catholicregister.org or call 416-934-3410, ext. 404. Send your contribution to Readers Speak Out via email to editor@catholicregister.org; via fax to 416-934-3409; or by mail to 1155 Yonge St., Suite 401, Toronto, ON M4T 1W2. Letters must include full name, postal address and phone number. Street names and phone numbers will not be published. We reserve the right to edit letters, which typically run 50-250 words. Please note: We get many more letters than we have space to print. Due to the volume, we unfortunately cannot acknowledge every submission. If you have a news tip, call us at 416-934-3410 or send it via email to editor@catholicregister.org. News releases can be sent by fax to 416-934-3409 or email to editor@catholicregister.org. Stories can be sent by fax to 416-934-3409 or email to editor@catholicregister.org. Hard copies can be mailed to 1155 Yonge St., Suite 401, Toronto, ON M4T 1W2. Most Register staff members can be reached by email or phone. Just call 416-934-3410 and ask for the individual or department you are seeking. For For individual departments and sections, please see Contact us. To place a classified ad in the newspaper, please click on our Classified Ads icon on this web site. 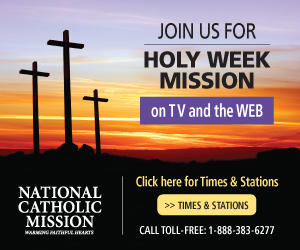 You may also call The Catholic Register advertising department at 416-934-3410. For information on display ads, please visit our Advertising section. 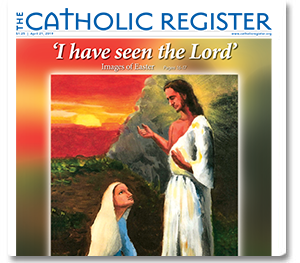 You can have The Catholic Register delivered to your door every week. Call 416-934-3410, ext. 404 or email circ@catholicregister.org. For details, please go to our Subscription page. Call 416-934-3410. The hours of operation are: Monday through Friday - 8 a.m. to 5 p.m.. You can also email us at: circ@catholicregister.org. We apologize for any delivery problems you may have experienced. 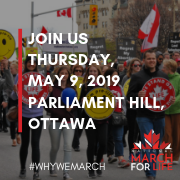 Please call 416-934-3410, email circ@catholicregister.org.